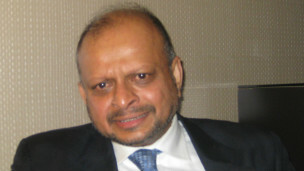 When Dr. Senewiratne saw the rights of Tamils were impinged upon by successive Sinhalese governments of Sri Lanka and Tamil’s peaceful democratic protests were put down by government-sponsored pogroms and by military force, he made it his mission to defend the rights of Tamils to live with equality, dignity and security and without discrimination in the country of their birth, enjoying the same rights and privileges accorded to the Sinhalese community. Karikalan’s involvement with Tamil struggle started when he was a high-school student in 1958. He was arrested in 1958 for his protest against Sinhala-only Sri activities, along with Tamil leaders like late S.J.V Chelvanayagam (Thanthi Selva) and late Vanniasingam. It should be noted that this was the first struggle when Tamils were arrested and imprisoned for political reasons. Mr. Karikalan continued his active involvement with Tamil struggle and took a leading role in Tamil’s major non-violent struggles, including the 1961 Non-Violent campaign called Satyagraha, when Sri Lankan Government was completely paralyzed in Tamils homeland of North-East for three months, due to peaceful protests of Tamils demanding rights. Sri Lankan Government declared the State of Emergency, arrested Mr. Karikalan and Tamil leaders like S.J.V. Chelvanayagam and Vanniasingam. They all were imprisoned in a Military Camp in the South called Panagoda. Karikalan was only 20 years old and was the youngest prisoner. He was released when other leaders were released after six months in custody.